When Sophie and Bud approached me about photographing their wedding, I thought about what a great opportunity this would be. It was in Sweden! Not only was it in Sweden, but it was in an amazing church in Stockholm! Not only was it in an amazing church in Stockholm, it was two amazing people, and their amazing families coming together for a great celebration of love! I knew this was going to be a wonderful day. It worked out that I was already scheduled to be in Sweden right at the time of their wedding, so I took a couple days off from my other responsibilities and joined in the party. On Friday, Bud and Sophie had their civil ceremony, and then Saturday was the big day at the Hedvig Eleonora Krykan. This octagonal church was consecrated in 1737 and named after a Swedish Queen Hedvig Eleonora. 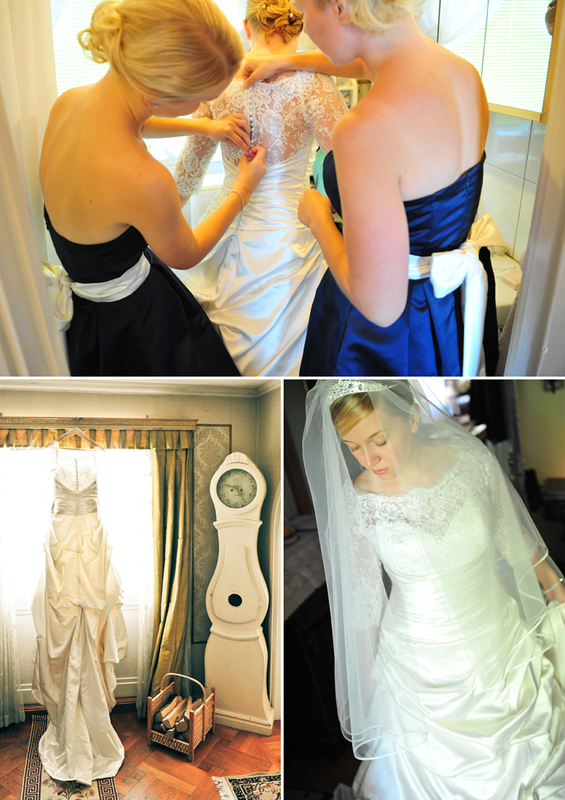 Early that Saturday morning, June 5, Sophie and her bride’s maids were busy about the house preparing for the ceremony. Sophie’s family has a beautiful, cozy house full of wonderful antiques, and lots of room for all of the hustle and bustle (and extra guests). Sophie had chosen to include a touch of a nautical theme in her wedding – blue, white and red, anchors, and boats. After arriving at the church there was a picture everywhere you looked. This post could just be about the inside/outside of the church. I just chose a few of the images to show the wonderful details of this gorgeous Swedish church. The ceremony was so warm and heartfelt, including Swedish songs and hymns. Sophie comes from an amazingly talented musical family, and music has always been a part of their family (including the grandfather who led some wonderful singing at the reception)! After the ceremony the couple and I headed out to have some fun exploring the city and taking some wonderful photographs. First we had to weave our way through the blocked streets and crowds that had gathered for the Stockholm Marathon, but we finally ended up at a castle near the Sophie’s home. The beautiful grounds were quite a sanctuary from the business that surrounds the wedding day. Before the reception could begin everyone joined hands, linked arms and enjoyed a Swedish Polonaise. There was a lot of laughing and singing to follow in the reception hall. This was a beautiful day! Congrats to Sophie and Bud…may your love grow even deeper than it already was on this day! What a wonderful experience to be a part of your special day.